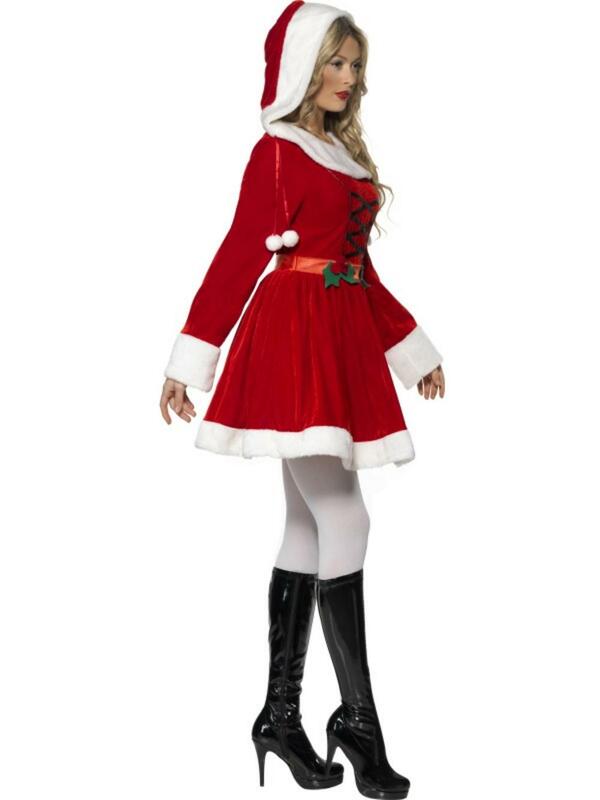 You'll be Santa's favourite helper this year when you wear this alluring Miss Santa Claus fancy dress costume, sure to get everyone into the spirit of Christmas. 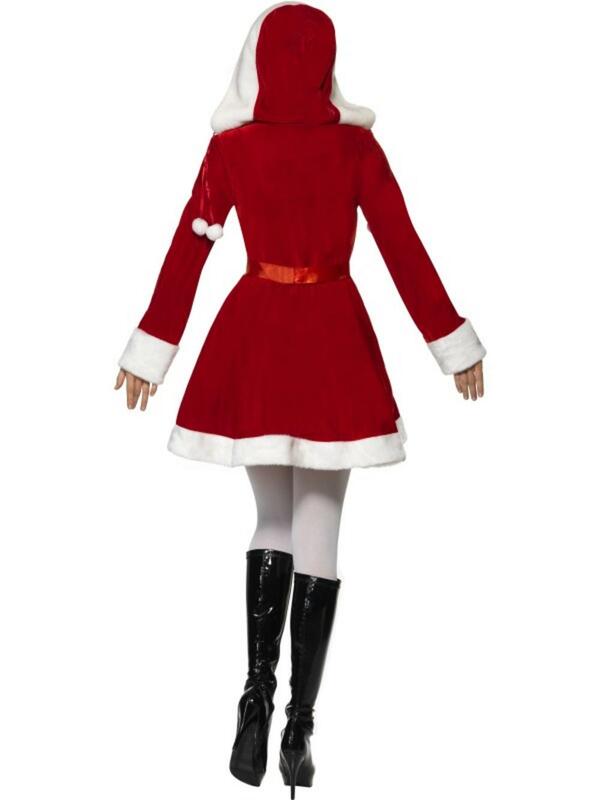 The beautiful red velour look dress is decorated with cute Holly leaves to the waistline and a stylish white faux fur trim to the hem, sleeves and collar. 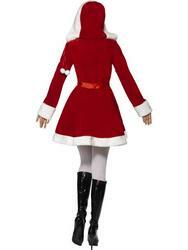 Completing the fantastically festive costume is a matching red hood again decorated with beautiful white faux fur trim. 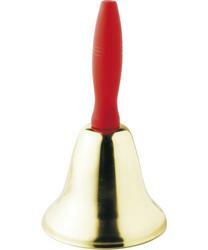 Great for any Christmas fancy dress party. Red velour look hood with white faux fur trim.